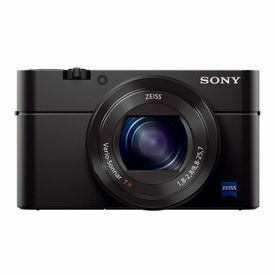 Sony Cyber shot DSC-RX100M2 20.2MP Digital Camera with Bag (Black) The perfect photography companion Equipped with compact and sturdy body that is easy to hold, the Sony Cyber shot DSC-RX100M2 20.2MP Digital Camera is the ideal companion for enjoying hassle free and accurate photography. The 20.2 MP lens along with powerful camera features enrich your images. The various connectivity features are very effective as well. 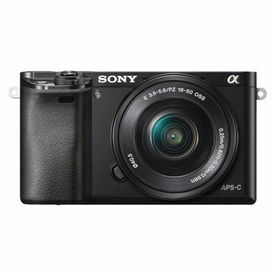 Powerful features for high quality photography This Sony camera has the effective Auto Object Framing option that enables you to enjoy enhanced and sharper images. This feature captures another creatively designed and enriched image along with your original image so that you have various options to select the best image. The TRILUMINOS COLOR is a distinctive feature which pumps more colour quality to images and make them realistic. It offers wider colour palate so that you enjoy vivid colour display. It is equipped with a superior autofocus feature that offers faster image processing. This autofocus feature captures every movement of the subject and keeps at the center of attention. This feature lets you shoot up to 10 frames per second so you never miss out on anything and have every action covered. The Optical SteadyShot feature leads to stable and sharp images. This feature neutralizes the effects of shakes and other distractions and keeps the frame steady. So you get to enjoy effective photography on the go. 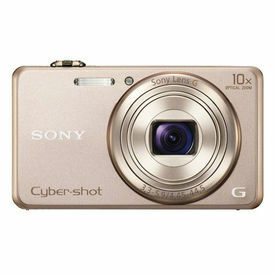 This camera has also superior video capturing technology that records videos in high quality. So you get to relive the moments with complete clarity and enhanced colour depth. The video recording rate of 60p is adequate for recording every moment with clarity and less distortion. This camera comes with 13 Creative options that facilitates easy and useful image editing options. 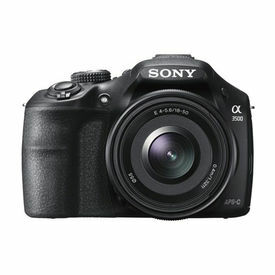 ease of access with Tiltable LCD Screen and camera settings This stylish and effective Sony camera comes with a LCD screen that lets you view the images easily . This LCD has 1229k-dot Xtra Fine feature that enhance the quality of visuals so that you enjoy crisp images. This LCD screen comes with automatic brightness adjustment feature which analyzes the background settings and changes screen brightness accordingly. Thus you can see clear and effective picture quality in any conditions. The White Magic wizardry is an distinctive feature which offers the best combination of white and RGB pixels so that images look natural and realistic. The surface reflection reducing facility liberates you from the hassles of glares and makes the screen easy to view. This screen has tiltable design that enables you to view it the way you want to. This screen can be tilted 45 degrees downwards or 84 degrees upward. So you have plenty of room to work with. Altering the camera settings is easy thanks to the flexible and simple navigation features. To change the camera settings you just have to rotate the lens. With this simple rotation you can change the focus and alter the zoom settings. 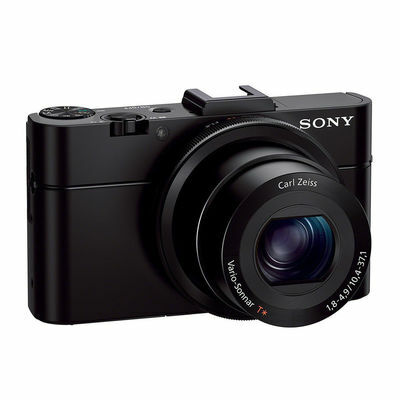 Sony Cyber shot DSC-RX100M2 20.2MP Digital Camera with Bag (Black) The perfect photography companion Equipped with compact and sturdy body that is easy to hold, the Sony Cyber shot DSC-RX100M2 20.2MP Digital Camera is the ideal companion for enjoying hassle free and accurate photography. The 20.2 MP lens along with powerful camera features enrich your images. The various connectivity features are very effective as well. 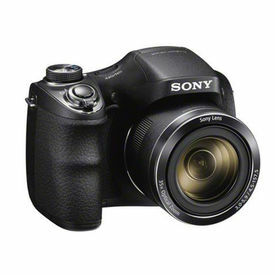 Powerful features for high quality photography This Sony camera has the effective Auto Object Framing option that enables you to enjoy enhanced and sharper images. This feature captures another creatively designed and enriched image along with your original image so that you have various options to select the best image. The TRILUMINOS COLOR is a distinctive feature which pumps more colour quality to images and make them realistic. It offers wider colour palate so that you enjoy vivid colour display. 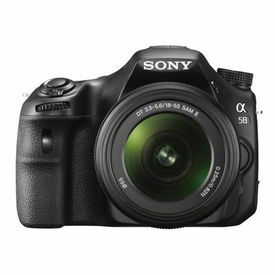 It is equipped with a superior autofocus feature that offers faster image processing. This autofocus feature captures every movement of the subject and keeps at the center of attention. This feature lets you shoot up to 10 frames per second so you never miss out on anything and have every action covered. The Optical SteadyShot feature leads to stable and sharp images. This feature neutralizes the effects of shakes and other distractions and keeps the frame steady. So you get to enjoy effective photography on the go. 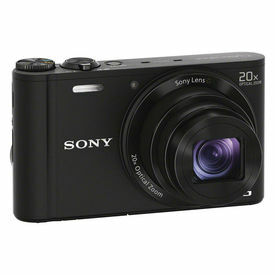 This camera has also superior video capturing technology that records videos in high quality. So you get to relive the moments with complete clarity and enhanced colour depth. The video recording rate of 60p is adequate for recording every moment with clarity and less distortion. This camera comes with 13 Creative options that facilitates easy and useful image editing options. 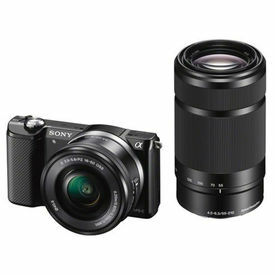 ease of access with Tiltable LCD Screen and camera settings This stylish and effective Sony camera comes with a LCD screen that lets you view the images easily . This LCD has 1229k-dot Xtra Fine feature that enhance the quality of visuals so that you enjoy crisp images. This LCD screen comes with automatic brightness adjustment feature which analyzes the background settings and changes screen brightness accordingly. Thus you can see clear and effective picture quality in any conditions. The White Magic wizardry is an distinctive feature which offers the best combination of white and RGB pixels so that images look natural and realistic. The surface reflection reducing facility liberates you from the hassles of glares and makes the screen easy to view. This screen has tiltable design that enables you to view it the way you want to. This screen can be tilted 45 degrees downwards or 84 degrees upward. So you have plenty of room to work with. Altering the camera settings is easy thanks to the flexible and simple navigation features. To change the camera settings you just have to rotate the lens. With this simple rotation you can change the focus and alter the zoom settings. Shutter Release Time Lag Approx.0.013 sec.